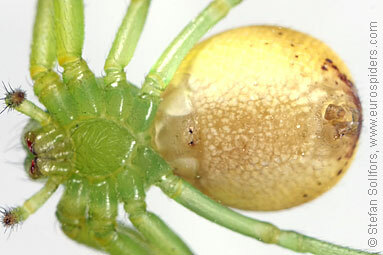 Female Diaea dorsata, close-up of body. 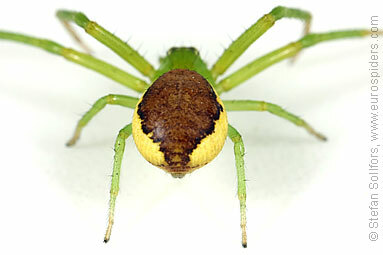 Female Diaea dorsata, head-on view. 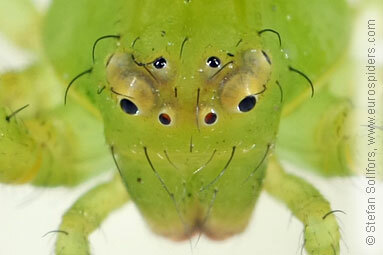 Female Diaea dorsata, close-up of th eeyes. 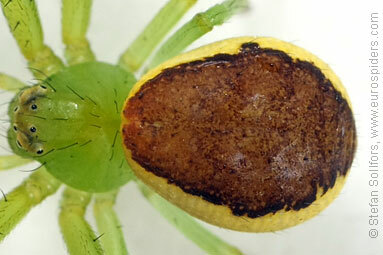 Female Diaea dorsata from behind. 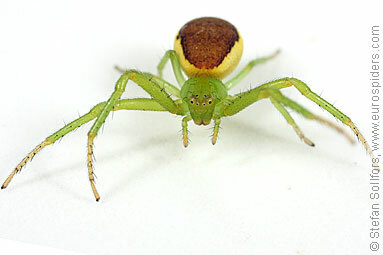 Female Diaea dorsata from below. 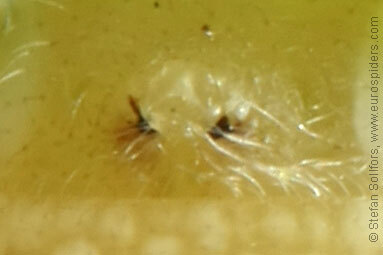 Female Diaea dorsata, close-up of epigyne. 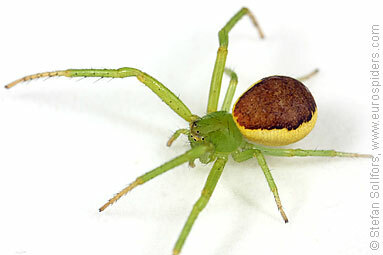 Female Diaea dorsata, about 5,5-6 mm. 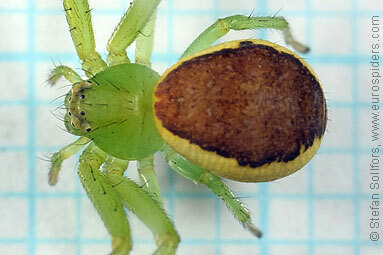 Diaea dorsata is a very colourful Crab spider.